The Manchester Museum is inviting visitors to walk around the building in the evening as part of an 'After Hours' series of events. 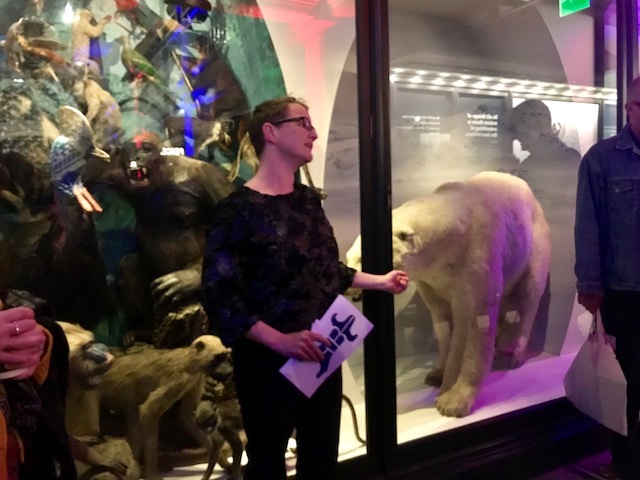 The first of these events -Women in Nature - entailed a tour of the museum with a collection of performances and readings from fascinating women in different fields of science and art, including a musical takeover from MCR Live. Guest speakers included Welsh artist and PhD student Kathryn Ashill, poet Nancy Campbell, together with ecologist Kasia Majewski and botanist Rachel Webster who both work at the museum. 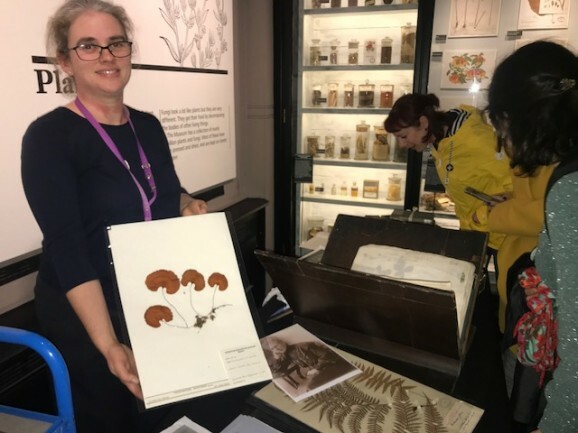 Visitors are given insights into topics such as climate change, similarities between humans and animals, and how they feel connected to nature in their work in fields such as botany and zoology. The creator of the event, Emma Horridge, told NQ about the After-Hours programme and the inspiration behind the tour. She said: “This series gives people the opportunity to see the museum at night making it easily accessible. After-Hours is a part of the Hello Future programme, which is the exciting new £13m project to transform and develop Manchester Museum over the next three years. Museum director Esme Ward is the first female director in 127 years since the museum opened its doors to the public in 1867, which made this event even more special to its contributors and tourists. Fleur, a student at The University of Manchester, welcomed the opporutnity to visit the museum outside normal opening hours. “As a student zoologist it was great to listen to a woman’s experience working in the same field and get advice from her. I think this event has really inspired more girls to pioneer,” she said. As the tour came to a close, and everyone was enjoying the new experience of seeing the museum after dark, I think it’s safe to say a lot of young women as well as men and non-binary folk left the museum that night feeling inspired and optimistic about where their future could take them.